I shot this image when I was flying in a microlight over the giant red sand dunes of Sossusvlei, Namibia. 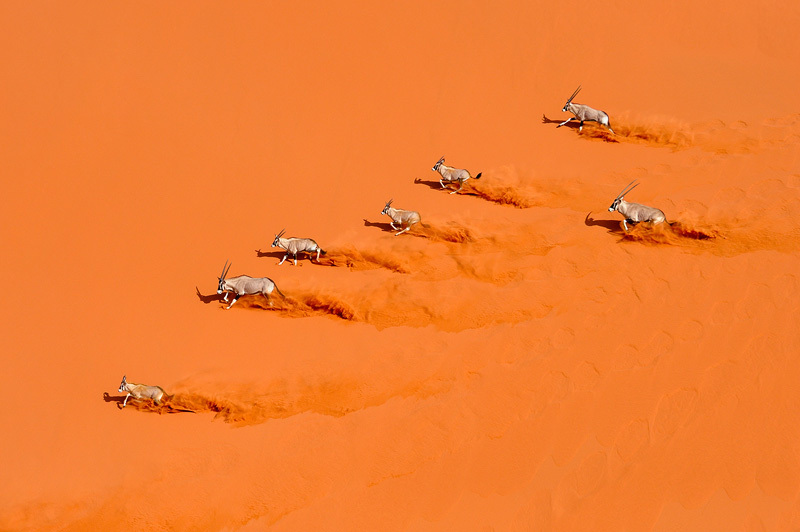 We were heading back to camp when I suddenly saw this small herd of gemsbok (Oryx gazelle) running right in front of us on a giant sand dune. I quickly grabbed my camera and shot a short burst before we had passed them. It was over in seconds. When I looked at the images back in our camp, I couldn't believe my eyes - the near perfect choreography.